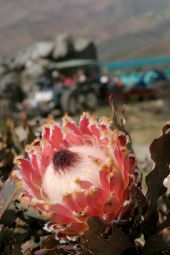 Protea Farm is situated in The KOO valley (29 km outside Montagu on the R318). 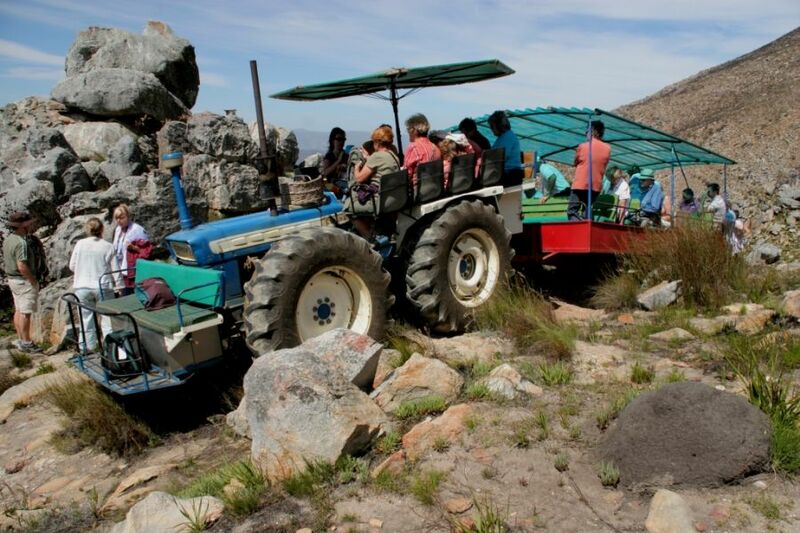 The tractor trip takes the passenger to the summit of Arangieskop (1500 m above sea level) and back. It is scheduled on Wednesdays and Saturdays (mostly at 10am), but groups from 25 -45 or 70 - 90 can be arranged on alternative days of the week (except Sundays). This tractor trip has become a legendary outdoor activity since 1985 and is a must as a tourist attraction in South Africa and has become an almost plenary event for off shore tourists. It is power packed with loads of fun, surprises and action for the whole family. It provides a bird's eye view of the Breede River, Keisie and the famous KOO Valley. Muscadel is served during a "pit stop" at the renowed Arangieskop hut of Protea Farm. En route down the mountain one gets a second opportunity to be mesmerized by the beauty of the Matroos mountains in the distance and panoramic views of the KOO valley. 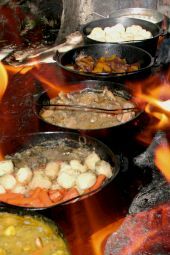 If you are in search of a true country culinary fantasy, the potjiekos experience will make your taste buds come alive. The best menu in town. A three course meal that includes a bread table, vegetables in season, delicious red meat and poultry dishes, complimented by farm desserts, wine, fruit juices and original "boeretroos" coffee served in typical farm style. For more information and to see our tariffs, please visit our website. Bookings essential.